Using a swim spa is much like swimming in a river, but with a current that you control. A powerful and efficient pump creates an adjustable current for you to swim against. And since the current is adjustable, it can be matched to the fitness level of the person in the pool. A variety of safe water-based resistance exercises, such as water aerobics, step sessions, weights, jogging, cycling and surfing are possible with optional equipment. When your exercise is finished, it's time for you and your family to sit back and enjoy the hydrotherapy of the swim spa. You will enjoy the contoured seats as your muscles are gently massaged by the deep penetrating hydrotherapy jets. Because of its versatility as both a pool and a spa, the swim spa is really the perfect product for someone who is looking for a Five Star Resort in their backyard without breaking the bank. 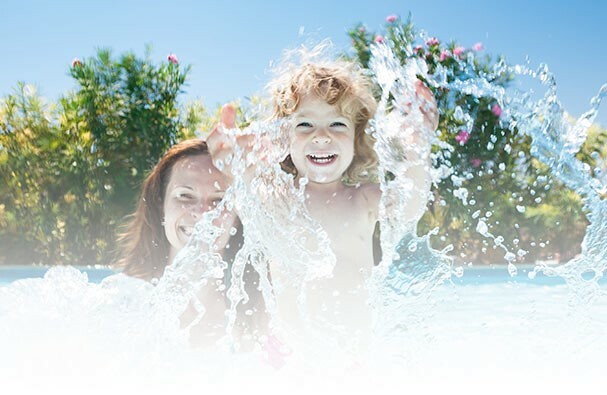 Hydropool knows that you want to spend more time enjoying your swim spa than cleaning it. That's why they created a self cleaning swim spa.